The FCH Joint Undertaking have issued a Call for proposals providing up to €116 million funding, across 24 topics. This includes 7 transport topics, 12 energy topics, and 5 topics for cross-cutting. More information on the call and the 24 topics can be found on the page of Call 2017. Update: An information day was held in Brussels on the 2nd February. Presentations from that event are available for download at http://www.fch.europa.eu/page/info-day-2017. Have a pair of Harvard scientists created the most powerful form of energy storage known to humanity? Hydrogen hit the headlines this weekend, as Harvard researchers Ranga Dias and Isaac Silvera published a paper in Science claiming to have transmuted hydrogen into a solid metal (Observation of the Wigner-Huntington transition to metallic hydrogen). The pair first announced their discovery in October last year, but the full details have not been made available until now and the breakthrough is causing quite a stir. Researchers have been attempting to produce solid metal hydrogen since it was first theorised in 1935 (E. Wigner, H. B. Huntington, On the possibility of a metallic modification of hydrogen. J. Chem. Phys. 3, 764–770 (1935)). Silva and Dias claim to have at last achieved success by slowly ratcheting up the pressure in a diamond vice to 495 GPa, 50% higher than the pressure in the centre of the Earth. Under these conditions their team observed the material changing from transparent to black to a shiny red; evidence enough for a metallic solid, according to their paper. For fear of diamond failure due to laser illumination and possible heating of the black sample, we only measured the Raman active phonon at the very highest pressure of the experiment (495 GPa) after the sample transformed to metallic hydrogen and reflectance measurements had been made. The potential for metallic hydrogen could be huge, as it is predicted to be a room-temperature superconductor which could revolutionise materials science. Its potential for storing energy could also be phenomenal. In a previous paper, Silvera suggested that hydrogen compressed to a metal could pack so much energy that it could be ‘The Most Powerful Rocket Fuel Yet to Exist’. Much of this potential depends on whether or not metallic hydrogen is metastable and would retain its solid form once extreme pressure was released. As it stands, the paper offers no answer to this question. Having reached the critical pressure required to create their sample, the team have not yet modified their set-up for fear of destroying the sample. This has left a lot of questions unanswered – is it really a solid? Is it stable? Big claims require big evidence, and the team has come in for criticism from several quarters for a lack of follow-through on their experiment. Science’s online announcement of the news gave rise to the kind of heated comments threads usually found on political news reports. Nonetheless, Silver and Dias stand by their results, saying that they wanted to announce the news before a second-round of tests potentially destroy their sample. ‘If people disagree, they should go to measure it and try to show that it’s different than what was claimed’, Silvera suggested. Teams across the world will undoubtedly be throwing themselves into that very task, so we can expect more news on this subject as the year unfolds. If nothing else, the Harvard group have our attention. Estimated total value: £250,000, divided into 2 lots. The UK Department for Business, Energy & Industrial Strategy (BEIS) are seeking tenders for work on Hydrogen supply chain technical evidence and modelling tool. The procurement documents are available for unrestricted and full direct access at: http://www.delta-esourcing.com/tenders/UK-UK-London:-Research-services./62B97ZCU8C. The primary focus of this work will be to assess hydrogen infrastructure evidence for heat in the residential, commercial and industrial sectors. The tool should also be able to incorporate the appropriate functionality to allow it to model geographical demands. Proton exchange membrane fuel cells (PEMFCs) have shown promise for a while, but their performance to date has been limited by the proton conductivity of their membrane materials. Researchers around the world have been working on porous materials that will provide three-dimensional frameworks for conduction, and now a team led from the University of Liverpool have announced a noticable performance improvement with a new crystalline porous molecular material. The key to the new material lies in its 3D ‘cage’ structure, in which the scientists were able to synthesise organic cavities, which can then be filled with smaller molecules. The smaller molecules can travel fast across the cage framework, conducting protons in all directions. After filling the cages with water, the researchers measured a proton conductivity level of up to 10-3 S cm-1. This is on par with the best results previously measured for PEMFCs in a lab. The full paper can be found in Nature Communications 7, Article number: 12750. 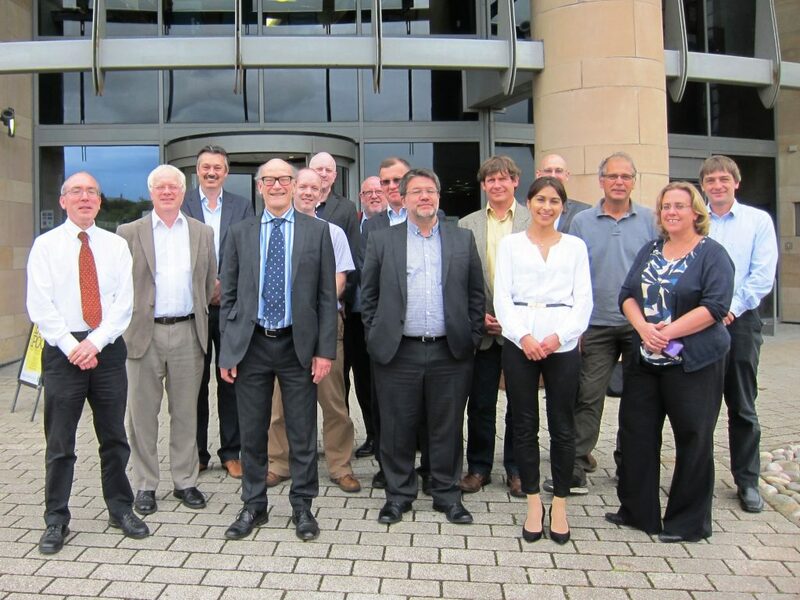 The 4th H2FC SUPERGEN Hub Research Forum was hosted by Professor John Irvine at the University of St-Andrews this year, on 1st-2nd September 2016. Twenty-two leading researchers, from universities across the country, presented the latest developments in their research across topics ranging through Hydrogen Production and Storage, Safety of Compressed Hydrogen Tanks, PEM Fuel Cells, Solid Oxide Fuel Cells, as well as research projects and a White Paper looking at Policy and Socio-economic implications for using Hydrogen & Fuel Cells in the future Energy System. This year the Forum was enriched by the presentations from some of the Advisory Board members: Sue Ellis (Johnson Matthey) presented on ‘H2FC Energy Systems -H2 & FC research needs’, David Hart (E4tech) presented on the ‘Steps and research needed to get to mass manufacturing of automotive PEM fuel cells’, Dr Paul Adcock (Inteligent Energy) presented on the ‘Relationship between industrial and academic research relating to fuel cell technology’, Nigel Holmes (SHFCA) presented the ‘Current Highlights and H2FC Roadmap (2016)’ and Dr Stuart Hawksworth (HSL), provided and update on the ‘Hydrogen/Energy Activities at the Health and Safety Laboratory (HSL)’. 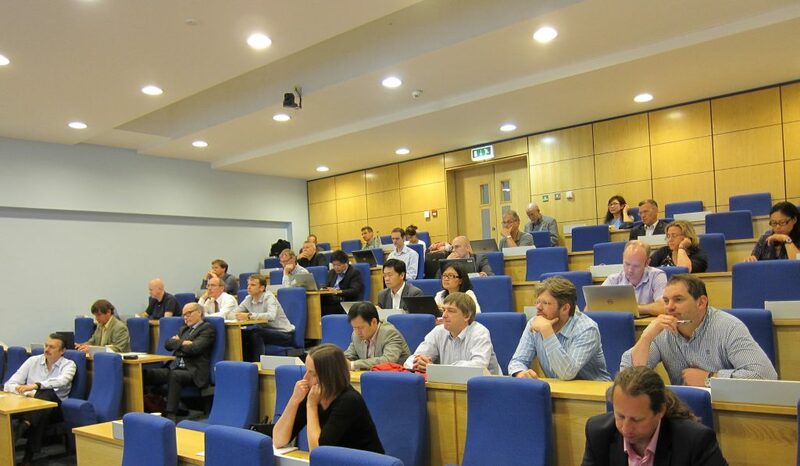 This Forum, which is a closed event for the Hub Principle Investigators (PIs), the Management and Advisory Boards, provides the platform for the PIs to present the progress and developments made in their projects funded by or through the Hub. However, many of the Hub researchers are happy to have their presentations made public, and we are happy to share these with you here. Pleases follow this link for a list of the presentations that were presented at this Research Forum. Australia has made its first major investment in hydrogen, with an announcement from the Australian Capital Territory (ACT) government that they would be investing $180 AUD into hydrogen related projects. The ACT is Australia’s smallest self-governing region, consisting only of Canberra and its immediate environs, but due to its hosting of CSIRO and the Australian National University, the territory has often been at the forefront of Australian science. It has recently confirmed its goal of running on 100% renewable energy by 2020, a target far in advance of other Australian states. In line with this commitment to green power, the ACT government has announced investment partnerships with renewable energy developers as part of its 200MW Next Generation Renewables auction. These companies will collectively establish a 1.25MW hydrogen electrolyser, investigate the possibility of converting Canberra’s gas network to hydrogen, and seek to build up a fledgling hydrogen production network using Canberra’s renewable power. The iniative will also mark the introduction of hydrogen-fuelled cars in Australia, with a refuelling station and a 20-car fleet to be introduced into the capital. “Now that the ACT is set to have 100% renewable electricity by 2020, which will reduce our greenhouse gas emissions by 40% on 1990 levels, we can focus on reducing other sources of greenhouse gases and maintaining our position as a leader in energy innovation. One of the next great challenges is our transport sector which will overtake electricity to be 60% of our city’s emission in 2020. The future for transport is clear – it is renewable and it is electric. Both batteries and hydrogen energy storage technologies may have important roles to play as we electrify our vehicle fleets, and have an electricity grid based on 100% renewable energy. The companies involved in this push are Neoen, Megawatt Capital, Union Fenosa, Siemens and Hyundai. As we reported in June, Nissan has been developing a solid oxide fuel cell that will run on bioethanol, circumventing the need to construct wholly new hydrogen fueling systems. Now, in a nod to Brazil’s massive ethanol industry, the company has unveiled a prototype car at the Rio Olympics. The prototype uses ethanol to charge a 24kWh battery, and with a 30L tank the car offers a cruising range of over 600 km. 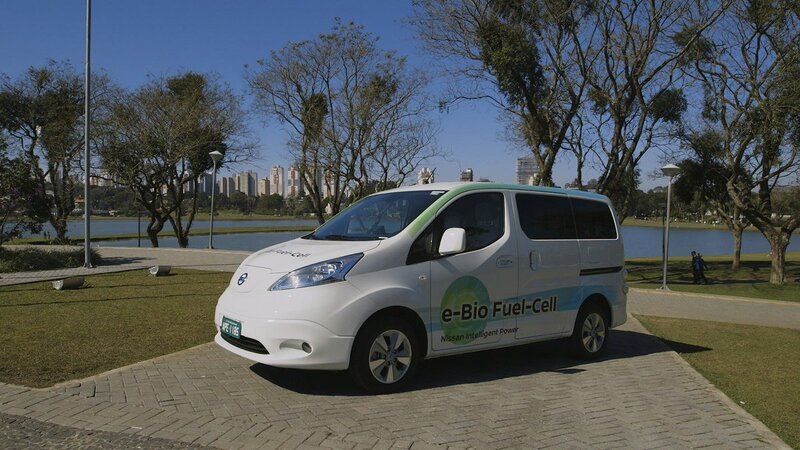 While Nissan will be running field tests this month in Brazil, an ethanol vehicle has a long way to go before becoming a commercial reality, and the company has no plans to move into mass production before at least 2020. On Monday 11th July, in a packed-out room at the Institution of Mechanical Engineers, over 200 people had gathered to hear from Dan Sadler, project manager of the H21 Leeds City Gate team, alongside a discussion panel of hydrogen experts. They were there to explain an idea that they hope will change Britain. That idea is simple, but hugely ambitious. To reduce Britain’s carbon emissions, they want to convert the country’s natural gas network to a hydrogen network. This would use the same pipes as gas and would power cookers and boilers in just the same way, only without the carbon emissions at point of use. This would be a world-first investment in hydrogen at this scale and the team want to do it in Leeds. Leeds was chosen as the test site for a number of reasons. With 1.25% of the UK’s population, it is a manageable size, while being on a sufficient scale to learn the lessons required for developing a hydrogen network. Leeds is also situated near the existing hydrogen infrastructure at Teesside, and geological salt caverns which are suitable for hydrogen storage. Despite the technological leap forward the H21 project represents, its proponents stressed the continuity with earlier projects. For the first century of British gas lighting, we used ‘town gas’, a locally produced by-product from burning coal. Town gas contained 50% hydrogen. It wasn’t until the discovery of the North Sea gas fields in the 1960s that the UK committed to natural gas. Switching gas sources required the wholesale conversion of the country’s gas infrastructure:, a ten-year, £100 million project. So this level of radical change has a precedent and, if our grandparents were able to succeed at such a phenomenal undertaking, there is no technical reason why our era cannot follow. The aim of the H21 launch then was not to prove that a conversion to hydrogen could be done, but that it should be done. How should it be produced? How should it be stored? How should the network be converted? And how and when should it be scaled up? The report is firm in recommending steam methane reformers (SMRs), using natural gas as the feedstock. It dismisses bio-produced hydrogen as being too small-scale and renewable-powered electrolysis as too expensive. H21 calculates that to meet Leeds’ demand with electrolysis would require the equivalent of 4-5 London array wind-farm equivalents. Assuming a peak demand of 732 MW, the H21 team recommend four 250 MW capacity SMRs. There is already one such plant at Teesside. Four plants would be enough to meet demand in winter and some could be shut down through the summer. This key decision for Steam Methane Reforming means that Leeds would still be reliant on North Sea gas, only transmuted to another form. It also requires an environmental trade-off. To meet climate goals, the plan relies on a CCS system capturing 90% of the direct carbon emissions from hydrogen production. The full emissions are calculated at 269 gm/kWh, which becomes 26.97 gm/kWh with CCS. Adding external emissions for the plant’s electrical requirements, the cost of hydrogen production becomes 49.53 gm/kWh. By comparison, current natural gas emissions are calculated at 184.45 gm/kWh. “The assumption of this report has very much been that CO2 sequestration will be available ‘over the fence’ as and when required”. If the technological timelines do not match up, it would be a major blow to H21’s hopes. UK gas demand is heavily seasonally-dependent, with winter demand up to six times what can be expected in summer. To take advantage of this, the H21 planners would manufacture excess hydrogen in the summer months and store it for winter. The north-east English coast is built on Permian saltfields and salt caverns have been located near Hull. Salt caverns provide a perfect vessel for storing compressed hydrogen and seven caverns with a volume of 400,000 m3 each have been located in the region. Together they hold a working capacity of 854,000 MWh of hydrogen, sufficient for Leeds’ winter store. If the UK launched a country-wide hydrogen conversion scheme, storage problems would be faced in other regions which do not have convenient salt caverns. The report does not address this issue. However, as the network grows, the ability to move hydrogen back and forth across wider geographic areas could help balance the supply and demand issues of specific regions. Britain’s gas pipe network is already undergoing an upgrade, from iron and steel pipes that are not suitable for hydrogen, to polyethylene. However more work would need to be done. The change-over has been meticulously plotted – Leeds will be converted sector by sector, each sector containing around 2,500 households. The full process should take three years, with individual households being without gas or hydrogen for only a few days. Household appliances will also have to be changed over to meet the standards for the new fuel. This is estimated to cost a little over a billion pounds. If H21 goes ahead, its planners are already planning the possibility of scaling it up. Maps for the next thirty years showed a hypothetically growing hydrogen distribution network, which would eventually reach London around the year 2050. The price-tag was estimated at £50 billion, end-to-end, for all cities. This could be financed with an extra-rate charge on gas bills, which the Project team say will likely be more than made up for through efficiency gains in coming years. The next move will be up to government. The project will need Ofgem support and an initial £100 million commitment by 2021, if it is to reach the goal of beginning work in 2025. But this report has made it clear that the potential is there. The executive summary of the H21 report is available at the Northern Gas Networks website here. Fuel cells have been considered as one of the promising technologies for the next generation energy production systems, because of their high energy efficiency and low pollutant emission. However, fuel cell technology is still in its early stage of development. Many scientifically challenging problems have to be solved in order to make it cost effective and thus commercially viable. In this project, an experimental investigation into the performance of different designs of Polymer Electrolyte Membrane fuel cells (PEMFCs) will be undertaken; this will involve the manufacture and testing of different PEMFC designs, along with the manufacture and testing of novel non-metal based catalysts to replace the use of Platinum, a major cost component of current PEMFCs. For further information please contact Professor Derek B Ingham on d.ingham@sheffield.ac.uk. Polymer Electrolyte Membrane (PEM) fuel cells are of great promise for future energy production systems, encompassing large scale down to portable power source applications, with the promise of high efficiency and minimal pollutant emission. A major drawback is the cost of production, dominated by the quantity of an expensive platinum catalyst required for the oxygen reduction reaction. Recent research indicates promising replacement catalysts based on non-metal carbon compounds doped with a variety of elements (for example nitrogen, sulphur, selenium). This project will involve the use of the Gaussian 09 program to perform detailed electronic structure modelling of candidate systems to assess their efficacy and investigate the detailed mechanism of these oxygen reduction reactions. In addition, we will synthesise promising candidates and test their performance in our experimental fuel cell test facilities, where we have the equipment to manufacture and test our own PEM fuel cells. Fuel cells are very strong competitors to the conventional energy conversion technologies which are responsible for the emission of the greenhouse gases. The most prominent type of fuel cells are proton exchange membrane (PEM) fuel cells. PEM fuel cells must be well-sealed in order to perform reliably and prevent the leakage of hydrogen. Typically, gaskets are used to seal the PEM fuel cells, though they must be selected with great care. The selection of the inappropriate sealing gasket may lead to a serious decline in the performance of the fuel cell. In most cases, this is due to the poor electrical contact between the electrodes and the current collectors of the fuel cell. One of the main objectives of this project is to theoretically and experimentally optimise the parameters that affect the contact between the electrode and the current collector in PEM fuel cells, most importantly the thickness and the stiffness of both the electrode and sealing gasket. Fuel cells have been considered as one of the promising technologies for the next generation energy production systems, because of their high energy efficiency and low pollutant emission. However, fuel cell technology is still in its early stage of development. Many scientifically challenging problems have to be solved in order to make them cost effective and thus commercially viable. In this project, novel designs of gas diffusion layer and catalyst support will be investigated. This will involve the synthesis and characterisation of novel mesoporous materials with highly ordered structures and high surface area and pore volume. These have potential in terms of improved electrical conductivity and catalyst support over conventional carbon fibre based gas diffusion layers. The UK Government has just launched a £2 million competition to promote roll-out of hydrogen-fuelled fleet vehicles. Public and private sector fleets can get up to 75% off the cost of zero-emission fuel cell electric vehicles. The £2 million fund was launched by the UK Government’s Office for Low Emission Vehicles (OLEV) on Tuesday 10th May 2016, to encourage more businesses to switch to hydrogen-fuelled vehicles. The Fuel Cell Electric Vehicle (FCEV) Fleet Support Scheme will allow local authorities, health trusts, police forces, fire brigades and private companies to bid for funding to add hydrogen-powered vehicles to their fleets. This could bring up to 100 more hydrogen fuel cell cars and vans onto our roads by next spring – the equivalent of tripling the number of vehicles currently in use. The money will cover up to 75% of the costs of new vehicles bought by April 2017, as well as the cost of running them for up to 3 years. Support will also be available for the leasing or renting of vehicles, insurance, hydrogen fuel and servicing. This OLEV support for research and development of ultra low emission vehicles (ULEV), as well as supporting infrastructure and the market for these vehicles, make the UK one of the most attractive places to invest in ULEV technology in the world. Bids for the FCEV Fleet Support Scheme must be submitted by Monday 4th July 2016, and there will also be a workshop for potential applicants on Friday 27th May. Successful bidders will be informed later this year. Link to Guidance Note for Applicants is here!